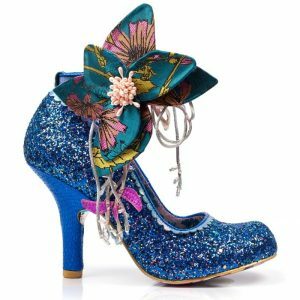 “Tu es d’une grande beauté du style des années 40 et 80, what else can we say about these super stunning heels that are a great take on both a 1940s and 1980s style shoe. 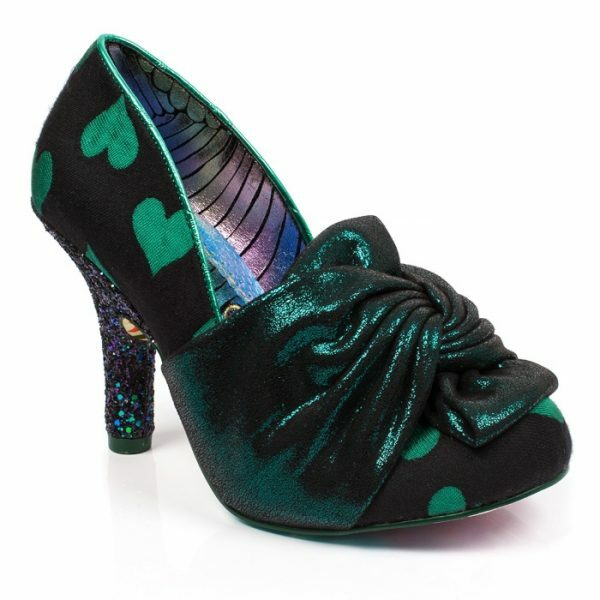 From 40s starlet to 80s disco! 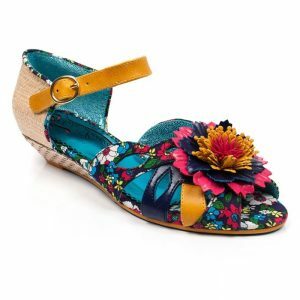 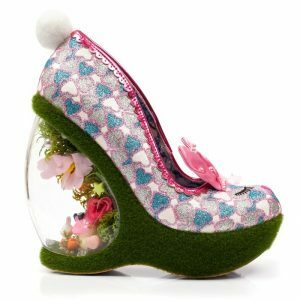 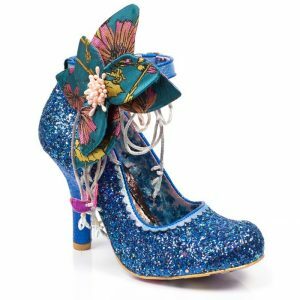 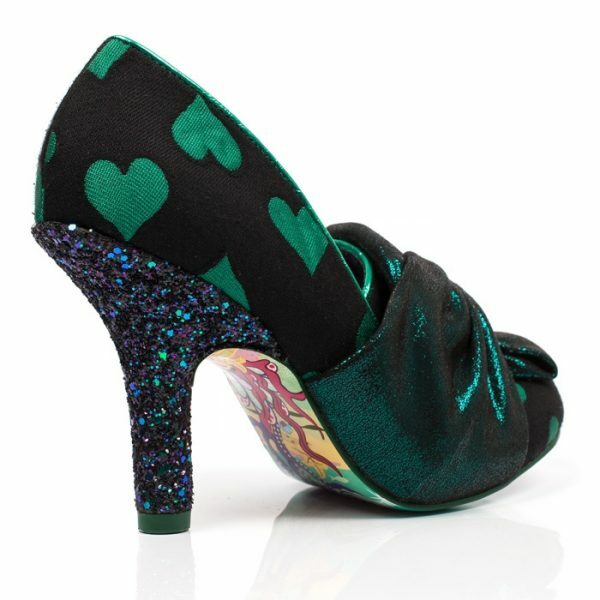 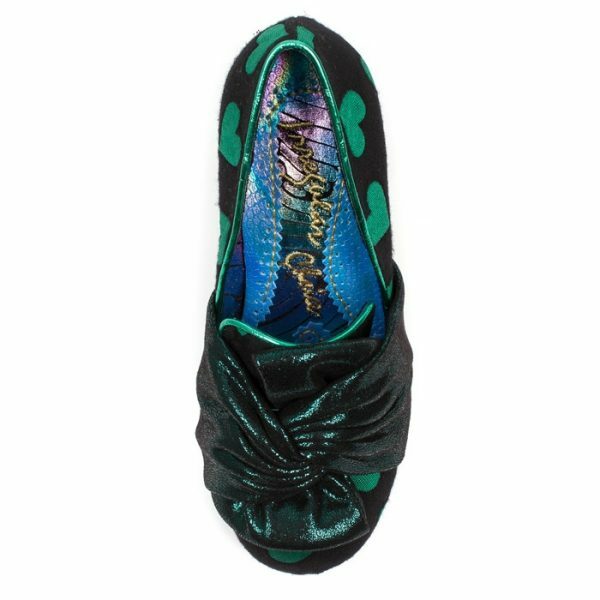 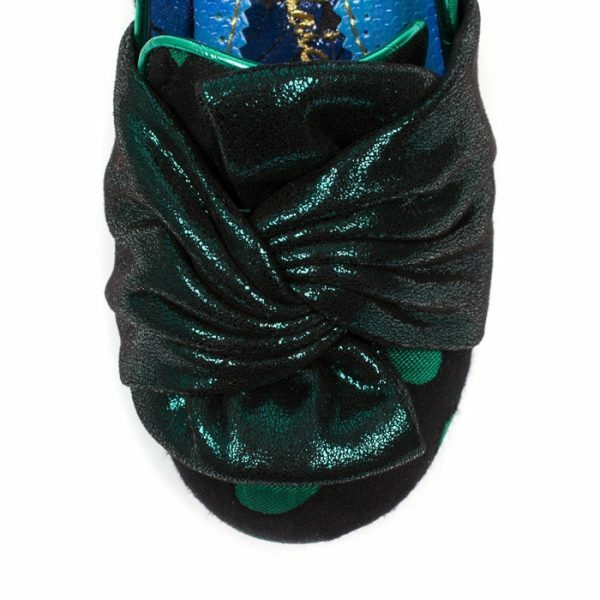 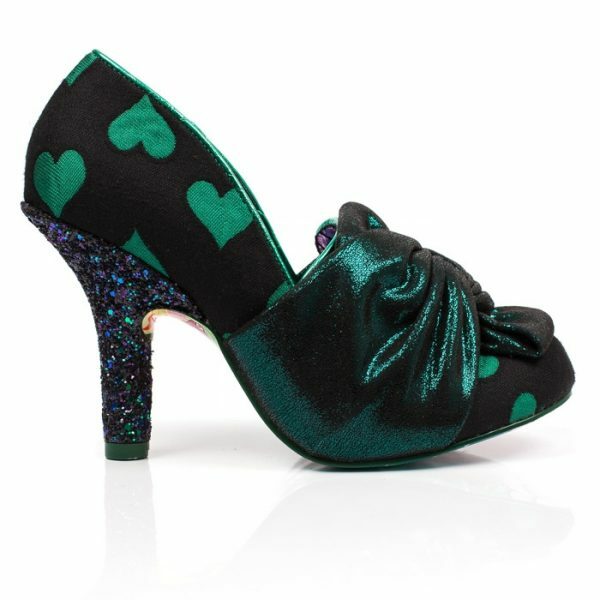 Comes with a wrapped fabric detail across the toe with a sweetheart upper and a multi glitter encrusted heel.